The large-scale network theme event interview group visited Xinjiang Software Park in the Urumqi Economic and Technological Development Zone (Toutunhe district) on Sept 13 and experienced Xinjiang's burgeoning high-tech industry. As a center of Urumqi's high-tech industry, Xinjiang Software Park receives strong support from the government in terms of both policy and infrastructure. Li Kewei, deputy general manager of Xinjiang Software Park Co, said that the park provides information and technology support for the economic and social development of countries along the Belt and Road while also promoting cultural exchange and cooperation. It also provides companies with support in the form of business hotels, catering services and apartments for prospective talents as well as other services related to enterprise incubation, talent cultivation and investment and financing. At present, a total of 293 diverse enterprises have registered in the park, while 130 enterprises have established headquarters. Registered companies engage in a range of industries, including software development, internet, animation, film and television, games, creative design, VR and other cultural industries. Xinjiang Software Park has created a financing platform for the park software and information technology service enterprises and provides practical services for small and medium-sized enterprises. The park also teaches company employees about various types of equity, bond financing models, IPO listing policies and other multi-level capital market structures and encourages enterprises to seize the opportunity to develop themselves and help local SMEs. It is estimated that by 2020, total government investment will reach 3 billion yuan ($436.71 million), and social investment will reach three billion yuan. The park's operating income will reach 5 billion yuan and the contribution rate to the cultural industry's added value in Urumqi will reach 30 percent, while the number of employees will exceed 20,000. 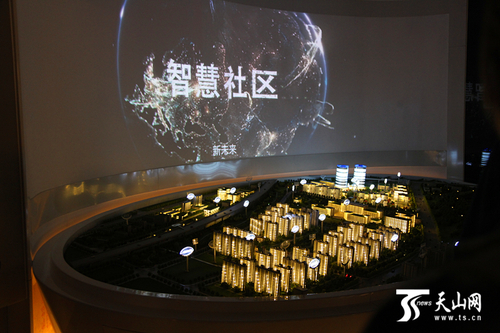 In the future, Xinjiang Software Park will serve as a platform to expand China's software and information service industry to the western international market, national multilingual software industrialization base, national multilingual offshore service outsourcing industrialization base, national multilingual embedded software R&D center, multilingual independent intellectual property software R&D center and a multilingual service outsourcing center.